A collection of media from Sky Ski. Riders in action, photographs, video and assorted media. 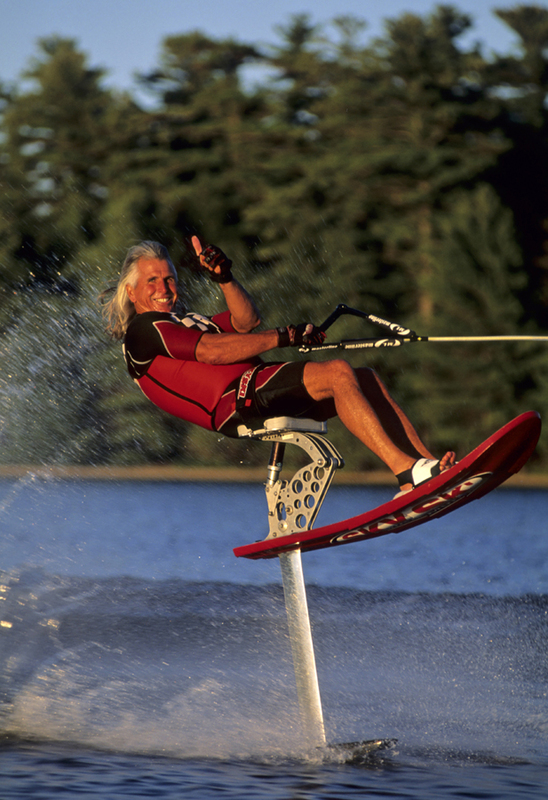 I have been riding sit down hydrofoils for a long time (28.5 years). I rode my first one at the beginning of the summer 1990. I was hooked. 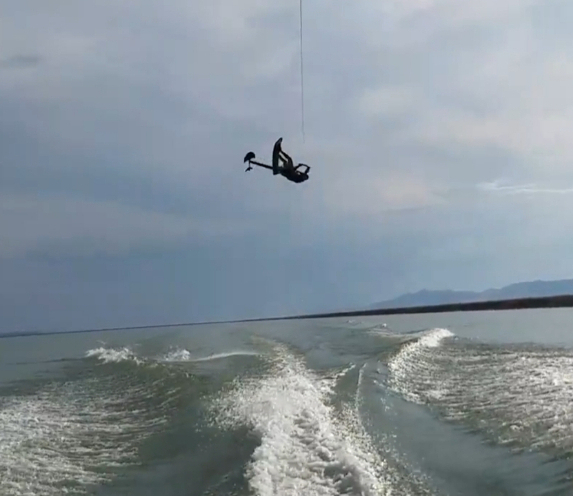 I never had such an amazing feeling of flight and freedom as what the hydrofoil brings. 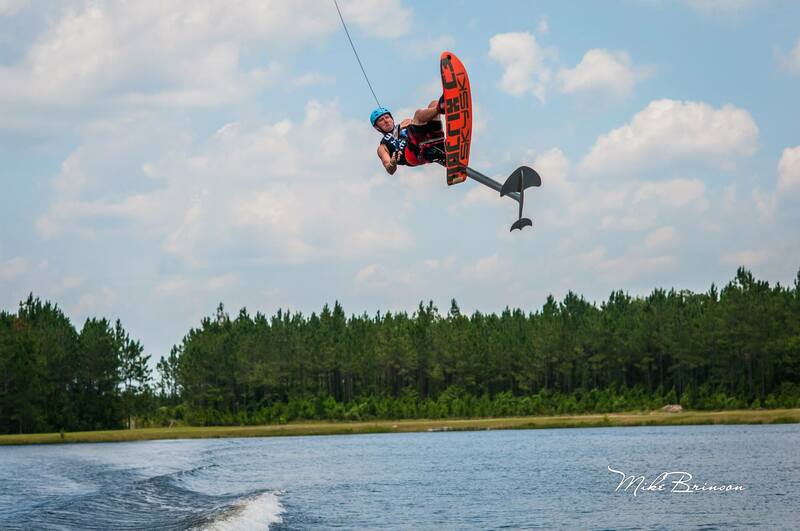 Over the years, as the equipment got better, I have felt similar feelings and rekindlings of my love for hydrofoiling. The G-38 was another one of those moments. It was good, but more was to come. I now have the best feeling I have ever had from a new T-bar. It took us about 4 months, but collectively between the riders and sky ski, we have finally done it. This 41" T-bar is perfect. I am going higher than I ever have, and am now in the running at big air contests. Me, the trick guy. I go big now! LOL that, and I feel confident I can cross any wake at any speed, tall or small, turbulent, cold water, and they all will let me pass with 0 glitch on this new design. It's stable, comfortable, and very ride-able. I guarantee this will be your favorite ride. You just have to try it. 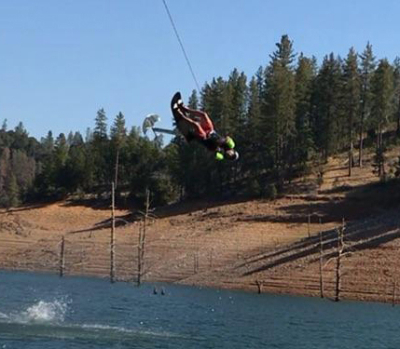 Smile like you have never smiled while riding a Sky Ski. My Sky Ski RS Aero 41 is without a doubt the smoothest foil I have ever ridden. There is no more shudder through the wakes, and virtually no drag. 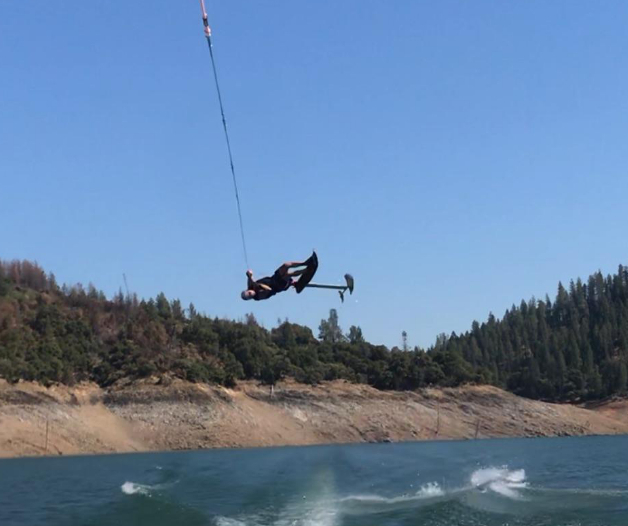 Bigger air with less effort. The ease of adjusting the t-bar length from 39" to 41" to match your riding preference is a great innovation. Sky Ski hit it out of the park with this one! "Best T-bar I've ever ridden! But don't quote me on that, because I'll deny ever saying it". SkySki is now in a league of their own with this new RS Aero T-bar. I was riding the Answer 38 t-bar for the last 7 years and that is a great t-bar, but since I got the new Aero t-bar it has been a total game changer for me. The air I am getting now is so big I probably should have an oxygen mask and the landings are super smooth and soft. There is absolutely no drag at all and that makes all the difference. If you are looking to take your riding to the next level this is the bar for you! The Aero t-bar cuts through the water like nothing. No drag compared to other bars. The ride was outstanding in all aspects. I would recommend this t-bar for someone who wants a good clean bar to get to the next level of riding. Just wanted to say, after riding the new & improved AERO T bar, I’m very impressed with the way this thing rides! Zero glitching or drag. I rode it in both the 39 & 41 lengths and had no problems adjusting. Most of my tricks felt bigger and smoother. Thank you for letting me try it out. You guys are on to something great with this new design!!!!!!!!!!! The Aero t-bar rides so smoothly thru the wakes, and there is no drag at all. It also recovers so quickly on landings, much easier to ride away from bad landings. Being able to ride it at 39" or 41" is a really cool feature too. CNC machined from super strong & lightweight 7000 series aluminum, this t-bar features the longest strut Sky Ski has ever made. It can be ridden at either 39” or 41”. And that's just the beginning, the shape of the strut is a true "Aero" hydrodynamic shape, and has absolutely NO drag at all. The leading edge of the strut is extremely dull & blunt, while the back half of the strut is cupped. This all new shape reduces drag, and makes it less susceptible to riding differently in different bodies & temperatures of water. Also features a sleek, streamlined fuselage with a reduced keel, 5 hole front fuselage and a 4 hole rear fuselage for more adjustment moving your rear wing. 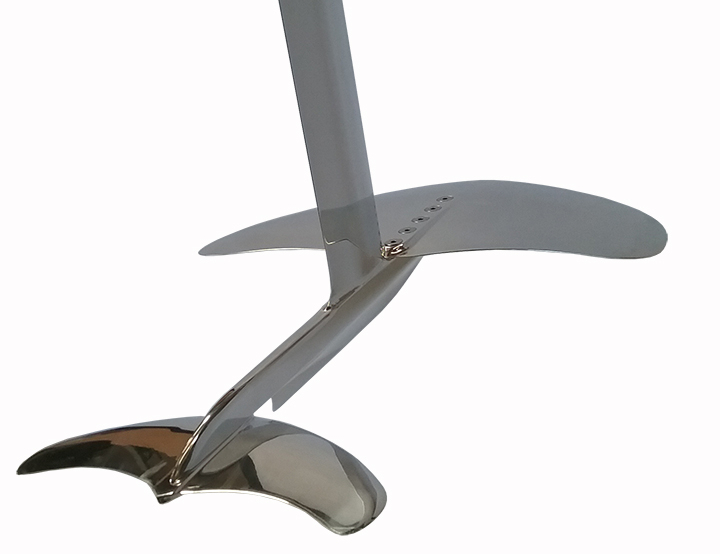 The reduced keel provides strength & tracking while reducing drag, and it allows the foil to "pierce" the water on re-entry into the water so you get softer landings and a quicker reflight time. Paired up with the Apex front & Aero rear wings this foil is geared for ultra smooth, hard cuts, huge air and butter soft landings! 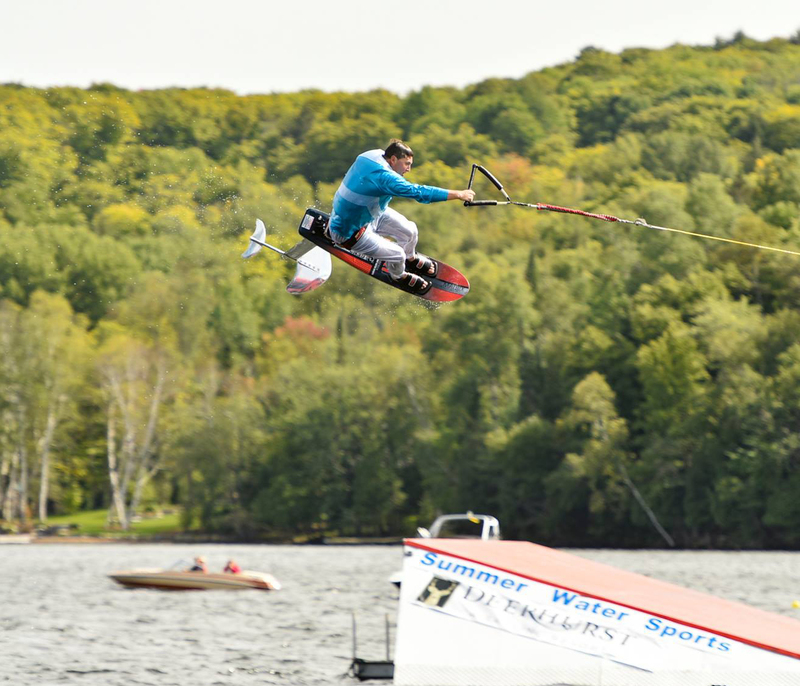 © 2014 Sky Ski High Performance Hydrofoil Chair. All Rights Reserved.